Posted on Wed, Aug 11, 2010 : 11:12 a.m. 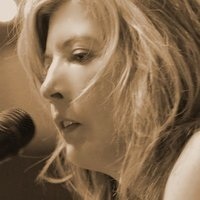 In both high school and college, Swanson played in cover bands and continued to write songs. Although Swanson eventually switched directions and focused on other interests for a few years, she never stopped writing songs in her spare time. According to her website, Swanson met local guitarist Patrick Thomas at the Blind Pig, and the two married in 2002. Where: The patio at AnnArbor.com, 301 East Liberty Street. Thomas encouraged her to return to the studio, and they worked together on Swanson's album, "Dark Sunshine," produced at Big Sky in Ann Arbor. This week, Swanson and her band will take the stage at our very own 301 East Liberty location, sharing the raw, emotional sound that has come to characterize her music with concert-goers who join in. Listen to Sarah Swanson "Free" (MP3). Courtney Rabideau is an intern for AnnArbor.com.